Capital presents its updated DECOR collection with models that are able to meet the most demanding requirements in residential furniture solutions. The typical features of the series show contemporary forms refined with design details of high stylistic value. All materials used are rigorously Made in Italy, just like the know- how and the advanced craftsmanship that takes shape in the high class finish. The house is a space that tells our story: its furniture, the emotions, the memories and dreams for the future live in its spaces. 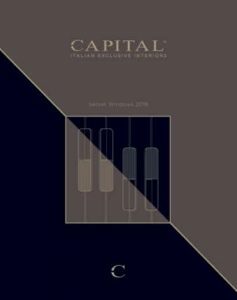 Capital has started more than 40 years ago, thanks to its president Paolo Viscovich, and has since then accumulated experience in the luxury furniture sector. Since its establishment the company is continuously evolving and growing in global markets as an organisation with Padua-based headquarters and showroom, but with offices and showrooms also in the emerging markets. The company starts in-house with the development of creative design and works its way through all stages of material research and production. The continuous search for natural materials of Italian origin guarantees a highly controlled and carefully selected product, as expression of a value that furniture will be enhanced through the artisan production. 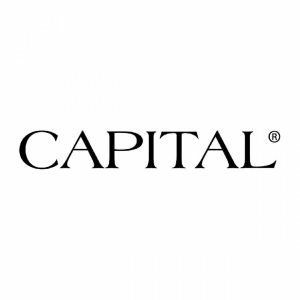 Capital offers you a selection of unique and special materials and processes, a part of which may be found in our sample collection. Nevertheless, the company aims at moving forward always using new materials requested by the customers on exclusive custom made creations. Wood, metal, marble, fabrics and leather are the favourite materials we work with: we believe that the added value, recognized worldwide as ‘Made in Italy’, consists in knowing how to work with these materials and combine them to create unique pieces. Each created artifact has a natural consequence and impact on the environment: we try to ensure that the Capital products respect the environment and do not harm those who manufacture them. 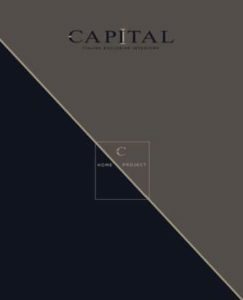 NEED MORE CAPITAL COLLECTION INFORMATION ?